A Shepherd's Heart: When A Gift Truly Becomes A Gift. When A Gift Truly Becomes A Gift. I really enjoy giving and receiving gifts, especially when you give a gift and the receivers face lights up as their reaction is priceless. I've realized that in part, a gift isn't truly a gift until the one whom you are giving it to receives it. No matter how much time and thought you put into a gift you can't force someone to receive a gift but you just freely give it to them with hopes they gladly receive it. 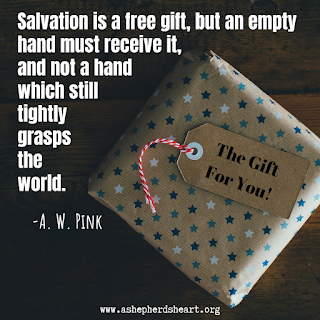 Likewise God's free gift of salvation is a truly free but the gift isn't complete until it is received as God doesn't force the gift on anyone. The receiver has to act in "opening" the gift through confessing, believing and receiving His priceless gift. 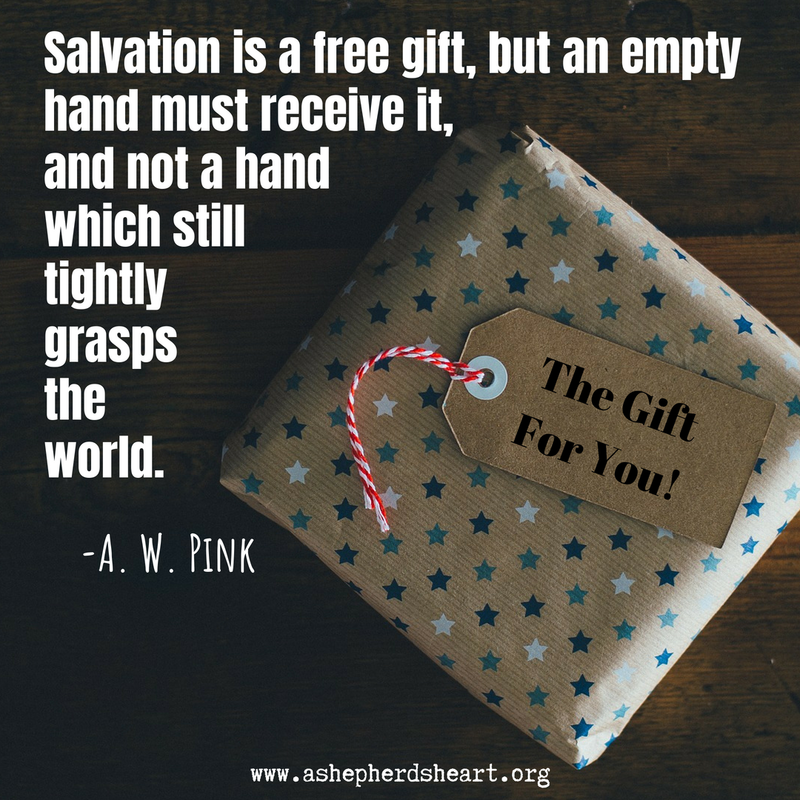 I pray that you have or will receive His free gift of salvation that He's presented to you! Always remember that His gift is the only one that will truly change and transform your life now and into eternity! His arms are open wide ready and waiting for you to receive His gift...what are you waiting for? Unwrap the gift while there's still time! Let go of the past, let go of the things of this world and receive His gift. Once you've received His gift, you can share His gift with others as you point them to Him so they can receive His gift as well! Let your light shine before all mankind!